Treasure Chest for Merriment Mini Fairy Gardening. 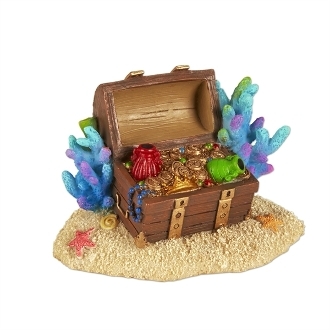 Full Description: Add some hidden treasure to your underwater mini garden! Mermaid Treasure Chest is underwater safe, features all-weather paint, and is made of resin.